Fun Fact Friday is a meme hosted by Lettora at I’m Booked! If you’d like to join and do your own Fun Fact Friday, just ask! At I’m Booked! Every week we’ll give you five new, fun facts. 1. Canada has more lakes than the rest of the world's lakes combined. 2. Did you know that you burn more calories sleeping than you do watching television. 3. Butterflies live for just 2 to 4 weeks. 4. Turtles have lived on earth even before the dinosaurs. 5. Natural gas is odorless. The smell is added artificially for safety reasons. I hope you're all enjoying your holidays so far. 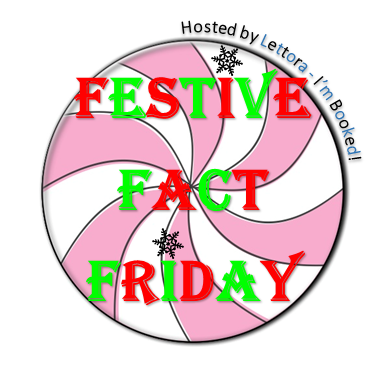 This week we'll be having a Festive Fact Friday as we're coming up to Christmas. Hope you enjoy! 1. There are 364 gifts mentioned in “The Twelve Days of Christmas”. 2. According to the Guinness world records, the tallest Christmas tree ever cut was a 221-foot Douglas fir that was displayed in 1950 at the Northgate Shopping Center in Seattle, Washington. 3. In Victorian times, the sweet mince pies of today were made with beef and spices. 4. Many parts of the Christmas tree can actually be eaten, with the needles being a good source of Vitamin C. Yum! 5. Tinsel was once made of real silver. It was invented in Germany in 1610. 1. One tiger alone killed 430 people in Nepal and India in the 19th century. 2. Only 8% of the world's currency is physical money. The rest exists only on computers. 3. Female kangaroos are almost always pregnant. 4. About 100 elephants are being killed every day for their ivory. 5. Polar bears aren't found in Antarctica. Only in the Arctic. 1. Christmas classic “Do You Hear What I Hear?” was written as a plea for peace during the Cuban Missile Crisis. 2. The flashes of colored light you see when you rub your eyes are called "phosphenes." 3. Harvestmen, or Daddy longlegs, aren't actually spiders: they belong to a different order of arachnids. 4. Billiards was once a lawn game played outdoors, which is why today’s pool tables have a green felt cover. 5. The human bone most often broken is the clavicle (collar bone). 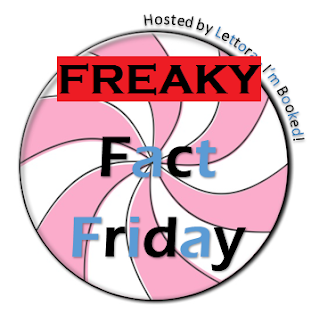 Fun Fact Friday is a meme hosted by Lettora at I’m Booked! If you’d like to join and do you own Fun Fact Friday, just ask! At I’m Booked! Every week we’ll give you five new, fun facts. 1. Did you know that cat’s urine glows under a black light. 2. Slugs have 4 noses. 4. It is impossible to sneeze with your eyes open. 5. Ketchup was sold in the 1830s as medicine. 1. A cat’s jaw cannot move sideways. 2. The “dot” over the letter “i” is called a tittle. 3. Your stomach produces a new layer of mucus every two weeks – otherwise it will digest itself. 5. The lifespan of a squirrel is about nine years. 1. The plastic things on the end of shoelaces are called aglets. 2. A group of kangaroos is called a mob. 3. Broccoli and cauliflower are the only vegetables that are flowers. 4. You share your birthday with at least 9 million other people in the world. 5. An ostrich’s eye is bigger than its brain. 1. The brain uses over a quarter of the oxygen that is used by the human body. 2. Adult lungs have a surface area of about 70 metres squared. 3.Our tongue prints are completely unique. 4. Depending on how old you are, it's quite likely that you have eyelash mites. These creatures like to like live off old skin cells and sebum. 5. Every day the average person loses between 60 and 100 strands of hair. 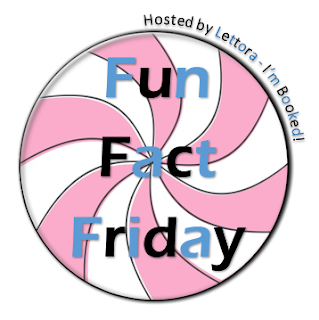 Fun Fact Friday is a meme hosted by Lettora at I'm Booked! Isn't it very fitting that the 13th Fun Fact Friday is on the day after Halloween... spooky. I hope you've all had a frightfully sweet filled week. 2. The owl is a popular Halloween image. In Medieval Europe, owls were thought to be witches, and to hear an owl's call meant someone was about to die. 3. The Irish carved Turnips and put coals or small candles inside. They were placed outside their homes on All Hallow's Eve to ward off evil spirits. They were also known to use potatoes and Rutabagas. 5. The famous magician Harry Houdini died in 1926 on Halloween night as a result of appendicitis brought on by three stomach punches. 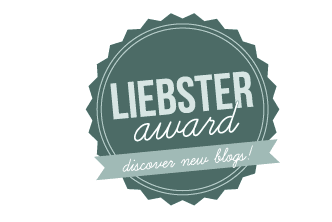 is a meme hosted by Lettora at I’m Booked! If you’d like to join and do you own Fun Fact Friday, just ask! At I’m Booked! Every week we’ll give you five new, fun facts. 1. The average human dream lasts only 2 to 3 seconds. 2. It takes food seven seconds to go from the mouth to the stomach via the esophagus. 3. The longest bout of hiccups lasted 69 years. 4. A butterfly has its taste receptors in its feet. 5. Raindrops aren’t really shaped like drops; they're actually perfectly round. 1. Night butterflies have ears on their wings so they can avoid bats. 2. Honeybees have hair on their eyes. 3. The average person has at least seven dreams a night. 4. You blink your eyes over 10,000,000 a year. 5. A chameleon's tongue is 1.5 times the length of its body. 2. At least half of the world’s population are bilingual or plurilingual, i.e. they speak two or more languages. 3. Many languages have 50,000 words or more, but individual speakers normally know and use only a fraction of the total vocabulary: in everyday conversation people use the same few hundred words. 4. 98% of reading is a listening task. Listening to a story and reading that same story will activate the exact same pathways in the brain. It's not where the sensory information comes from but, where it ends up in the brain. Our eyes act more like ears when we read. 5. The fastest bird is the peregrine falcon. It can fly at a speed of 168-217 miles per hour. Fun Fact Friday is a meme hosted by Lettora at I'm Booked! If you'd like to join and do your own Fun Fact Friday, just ask! Every week we'll give you five new, fun facts. Did you know a Jiffy is an actual unit of time. 1 Jiffy = 1/100 of a second. Wedding rings are worn on the fourth finger of your left hand because people used to believe that the vein in this finger goes directly to your heart. In one day your heart beats 100,000 times. by Lettora at I’m Booked! If you’d like to join and do you own Fun Fact Friday, just ask! At I’m Booked! Every week we’ll give you five new, fun facts. About 20 percent of the earths land is made up of desert, and the world s largest desert is the Sahara of North Africa. Out of the seven continents Australia is the only continent on earth without an active volcano. Did you know that 97% of the earth’s water is undrinkable. A language spoken by a community will slowly change and eventually an educated person will not be able to understand words in their language, written 500 years ago. Did you know that on average you speak about 4,800 words a day. 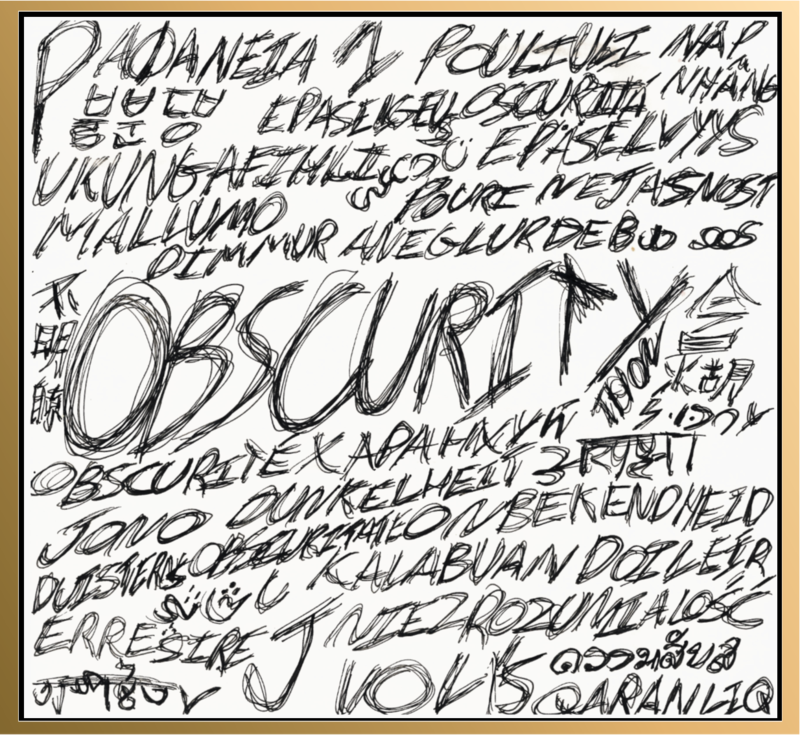 Ironically, Hippopotomonstrosesquippedaliophobia is the fear of long words. That's unfortunate. Vincent Van Gogh only sold 1 painting his whole life and that was to his brother. 1. For The Hunger Games, actor Alexander Ludwig gained 30 to 40 pounds in order to play the role of Cato. 2. In 1838 Edgar Allen Poe wrote The Narrative of Arthur Gordon Pym of Nantucket. The story is about three shipwrecked survivors in boat who kill and eat the fourth man whose name was Richard Parker. Strangely in 1884, three real-life shipwrecked survivors killed and ate the fourth man, whose name was also Richard Parker. Spooky! 3. The real name of “Dr Seuss”, author of 64 children’s books, was Theodor Seuss Geisel. 4. The book Gadsby by Ernest Vincent Wright contains 50,110 words but the letter ‘e’ never appears once. 5. J.K. Rowling doesn’t actually have a middle name. She used the letter "K" after her grandmother, Kathleen, because she was asked by her publisher to print Harry Potter under her initials. 1. The most books signed by one author in a book signing is 1,951 by Antoli Karpov who is an ex-chess champion. He signed El Camino del Volutad, which he co-wrote with David Llada. 2. The thickest unpublished book was produced in Germany and is collection of drawings sent from children called, Das dickste Buch des Universums (The thickest book in the universe). It has 50,560 pages and weighs 220kg. 3. Did you know that for The Hunger Games, both Liam Hemsworth and Jennifer Lawrence, who are naturally blonde, dyed their hair brown for the film, but Josh Hutcherson who is dark-haired dyed his hair blonde. 4. The most expensive book ever sold at auction is John James Audubon’s Birds of America which sold for £7.3 million in December 2010. It contains 1000 illustrations of 435 birds. 5. The longest ever title for a book that has been published has 1,086 words and was written by Dr. Sreenathachary Vangeepuram in 2010.